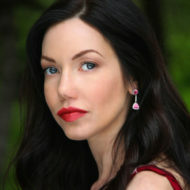 It’s the most wonderful time of the year… and also the busiest! I love absolutely any excuse to get together with friends, but sometimes planning an elaborate party just isn’t possible. 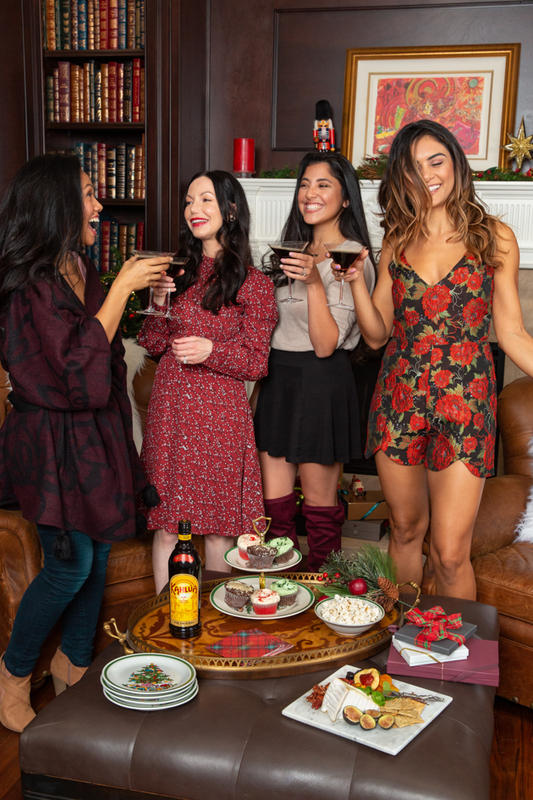 Never one to let time or money get in the way of a celebration, I’ve picked up a few tricks for celebrating the holidays even when time and finances are limited. 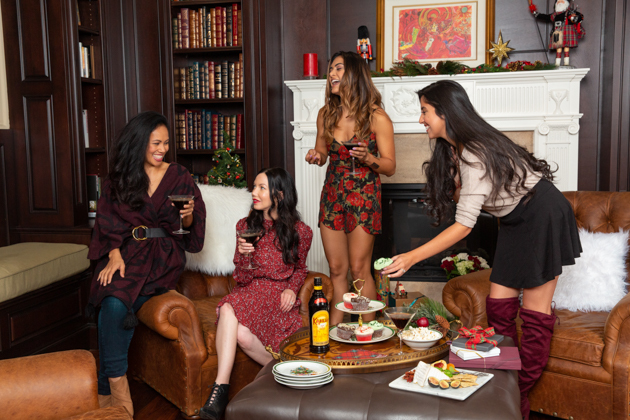 I’ve partnered with Kahlúa to share my 5 tips for easy holiday entertaining. 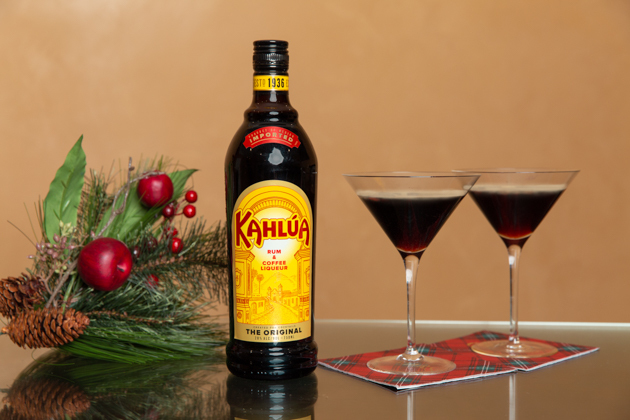 Scroll down to read the post and get a sweet and refreshing recipe for Kahlúa’s #ColdBrewMartini. Hover over above image to purchase. 1) Keep the menu simple – Instead of throwing a dinner party, why not try a cocktail party or a brunch? 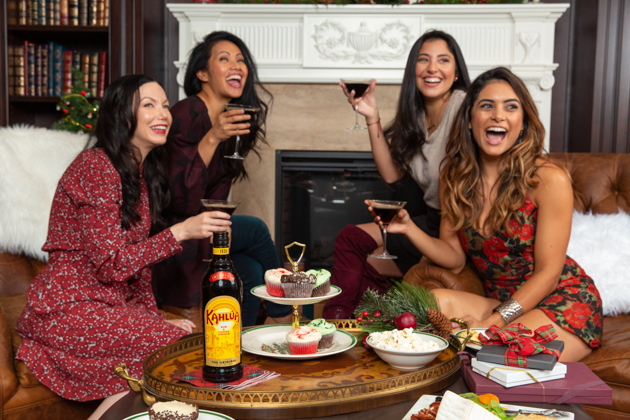 A dinner party can be delightful, but a cocktail party is far less time consuming and expensive to plan. Pick a time window before or after dinner time (2 pm to 5 pm or 7 pm to 10 pm works for most people) and plan a simple selection of hor d’oeuvres and treats. 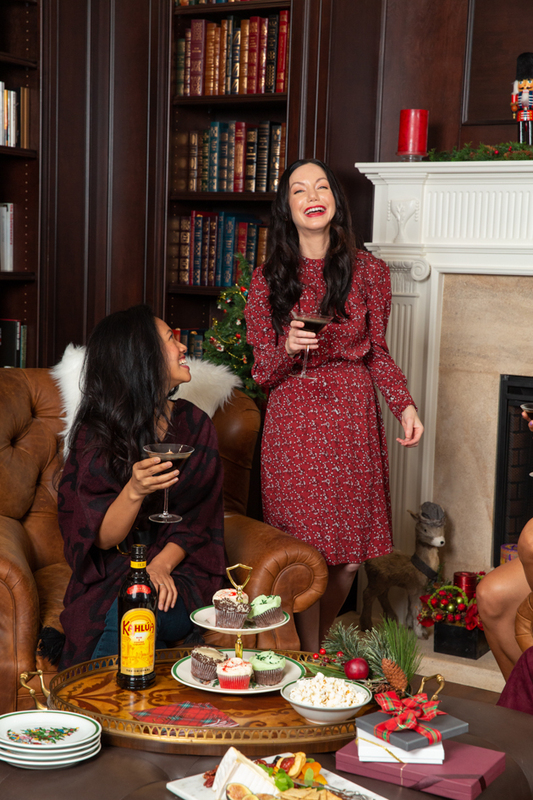 A cheese or charcuterie plate is always a hit, and I make sure to have some healthy and gluten-free options on hand as well, such as a festive salad, fruit plate, hummus, guacamole or my favorite Turkey and Cranberry Sweet Potato Toast. For an easy brunch menu, you could try a European style breakfast buffet with smoked salmon, cheese, prosciutto, yogurt, fruit and pastries. You can even set up an oatmeal bar with toppings and make or buy a quiche a day or two before. Just stick with a few dishes and don’t over do it! 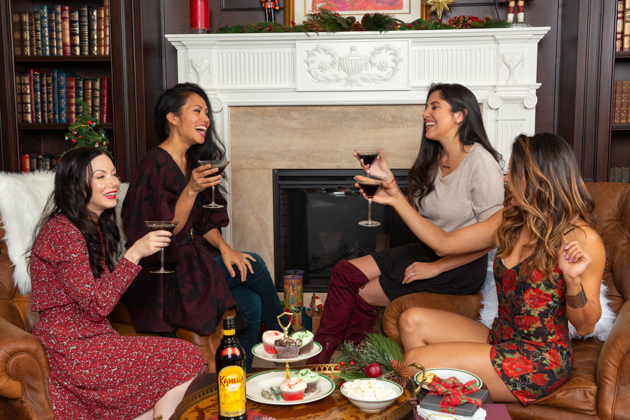 2) Set the scene in advance – Fresh or faux flowers, garland, ribbon, a few pretty serving trays and seasonal cocktail napkins are all you need to transform your home to a festive holiday atmosphere. Create a fun playlist of your favorite tunes and start the music while you’re getting ready. That way you’ll be doing a happy dance even before your guests arrive. 3) Plan a fun activity – Set up a gift wrapping or card decorating table. 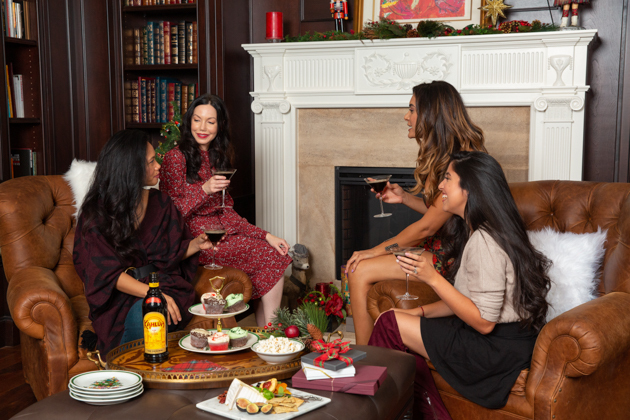 Invite your guests to bring any gifts they need to wrap and a roll of wrapping paper and ribbon. Set up a table with scissors, tape and plenty of ribbon, and let guests choose their favorites from all the choices everyone brings. Alternatively, a holiday card decorating table was a huge hit at my Galentine’s Day Party earlier in the year. You will need a bunch of blank greeting cards in various colors, colored markers, stickers, ribbon, glue sticks, glitter and scraps of wrapping paper to line the inside of your envelopes. 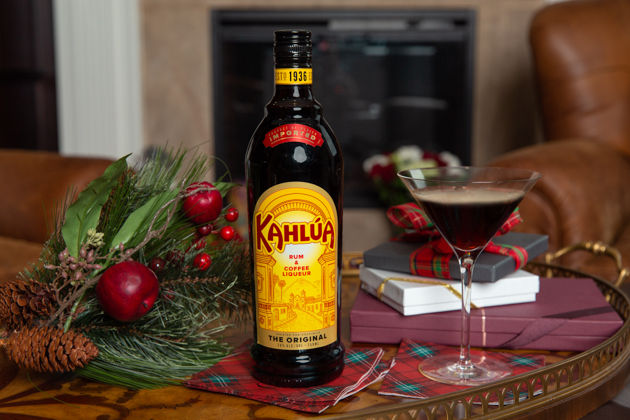 Play your favorite holiday movie in the background and let your guests sip on a Kahlúa Cold Brew Martini while you get creative. 4 ) Enlist help – You don’t have to do it all yourself! Make a list and divide and conquer. Ask friends to take on small tasks like picking up the cupcakes, organizing the card making table or picking up and arranging fresh flowers. I always put Mister Pretty Little Shopper on Barista duty. He makes a mean #ColdBrewMartini. 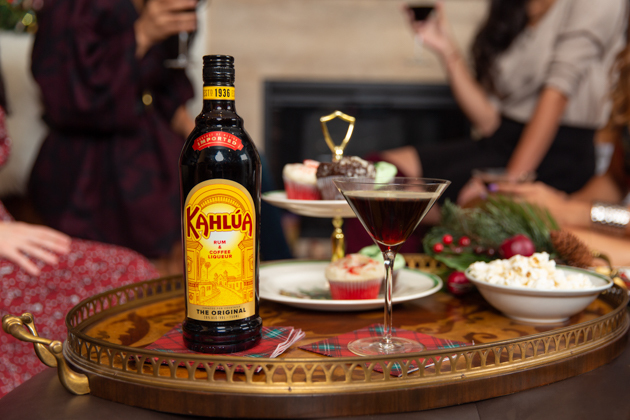 5) Serve a signature cocktail – The Kahlúa Cold Brew Martini is my drink of choice for the perfect holiday brunch or cocktail party. It’s so delicious and easy to make. 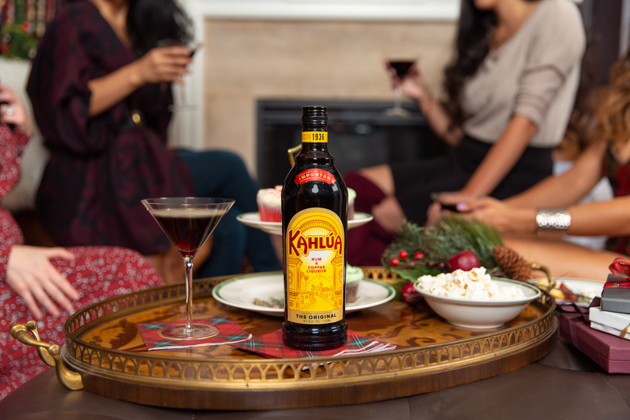 You can find Kahlúa at most grocery or wine shops including Total Wine and Kroger. Fill a shaker with ice. Add one part Absolut Vodka, two parts Kahlúa and 3 parts cold brew coffee. Shake the ingredients hard for at least 10 seconds to create a nice foam. Strain into a cocktail glass to get of all the small ice chips. Garnish with coffee beans. ** Be sure to use a fine strainer to aerate the drink and create the foaming effect.